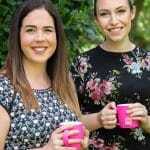 Exceptionally talented travel, parenting, interiors and lifestyle blogger, Penny Alexander of A Residence and Parentshaped also happens to be one of my closest friends. 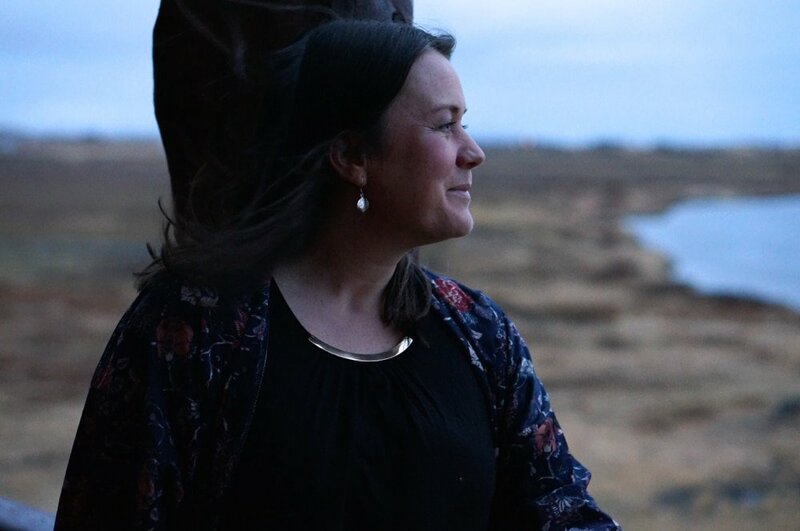 She recently took a press trip to Iceland on my behalf, to find out what foodie and family treats were on offer in this incredible country. 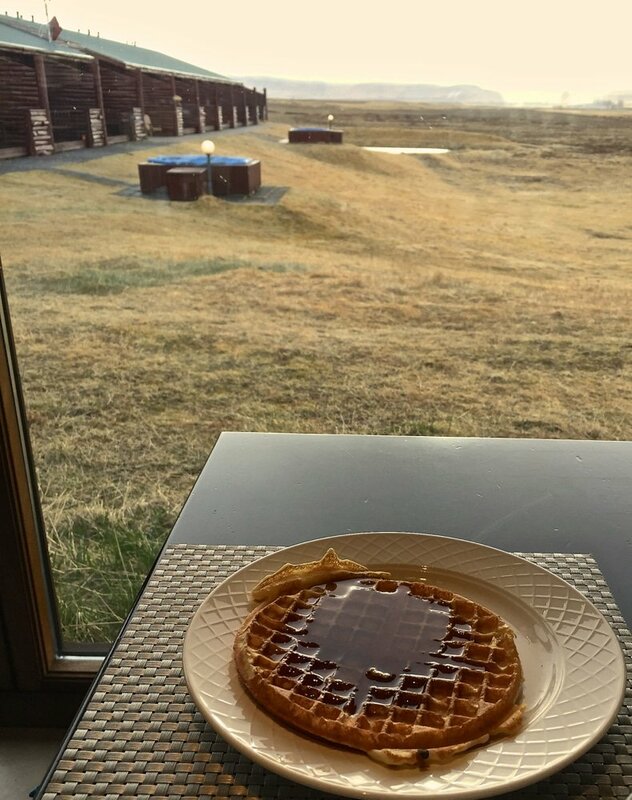 In the first of her posts, she introduces us to the wild and wonderful Hotel Ranga, the only four star hotel outside Rekjavik. 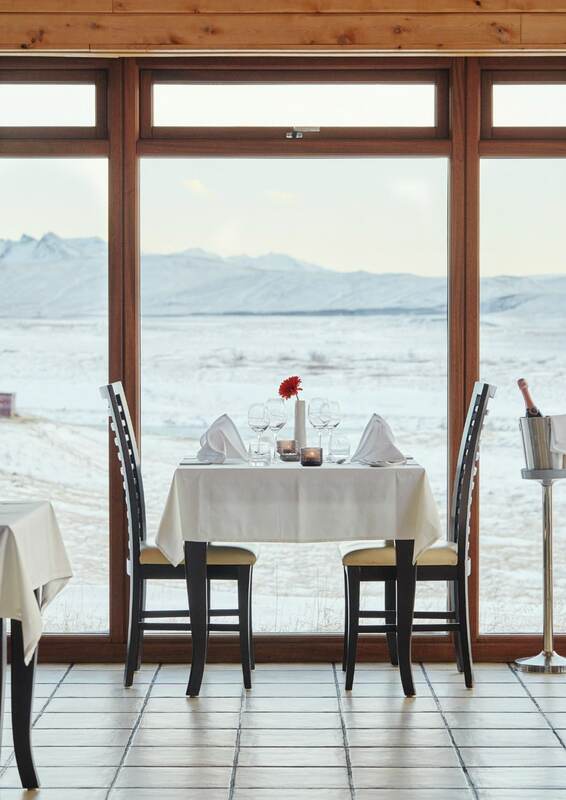 Surrounded by mountains and mist at the end of a long driveway in the depths of South Iceland, Hotel Ranga feels like a Swiss chalet, but it’s grand design elevates the mood to something quite other worldly, large glass windows, with 180 degree panoramas, perfectly show off the stunning wilderness beyond this remotely located boutique hotel. 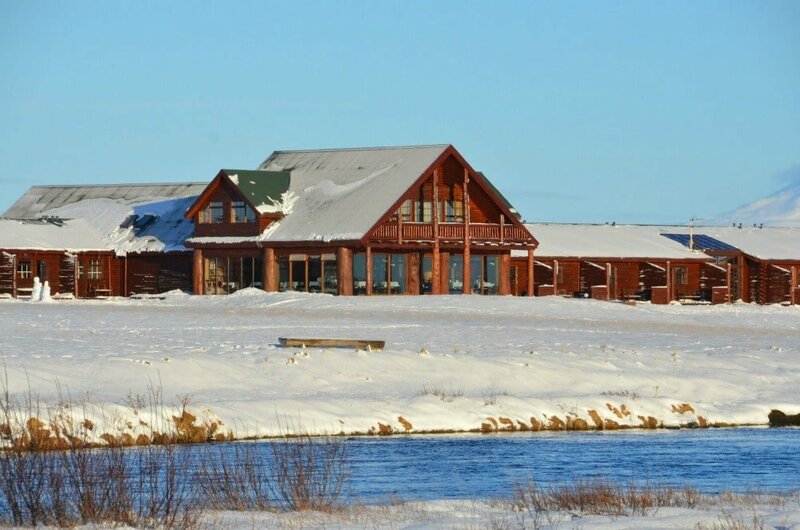 Ranga is a hotel favoured by honeymooners and celebrities, as we left the Kardashians were arriving in Iceland, I read online that Justin Bieber hired out Hotel Ranga while making music videos, and that Jake Gyllanhal has stayed here. 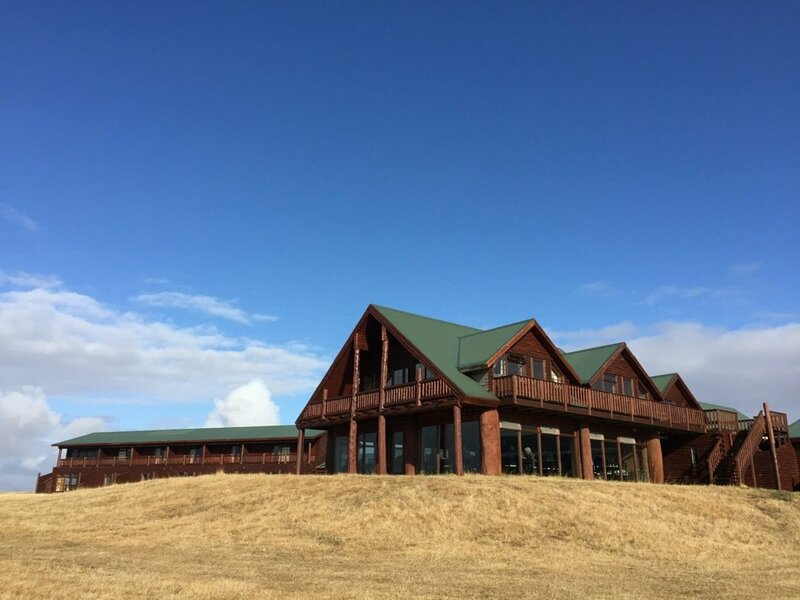 You can see why, the remoteness and the safety of Iceland make Hotel Ranga a perfect place to escape to. It’s also geared up to families too, there’s a lovely informal atmosphere, and plenty of snug nooks and crannies to relax in, and lots of sofas, Ranga feels like a home from home. The families I saw during the week all looked very at ease and it’s perfectly placed for days exploring Iceland’s best known, very kid friendly tourist attractions. 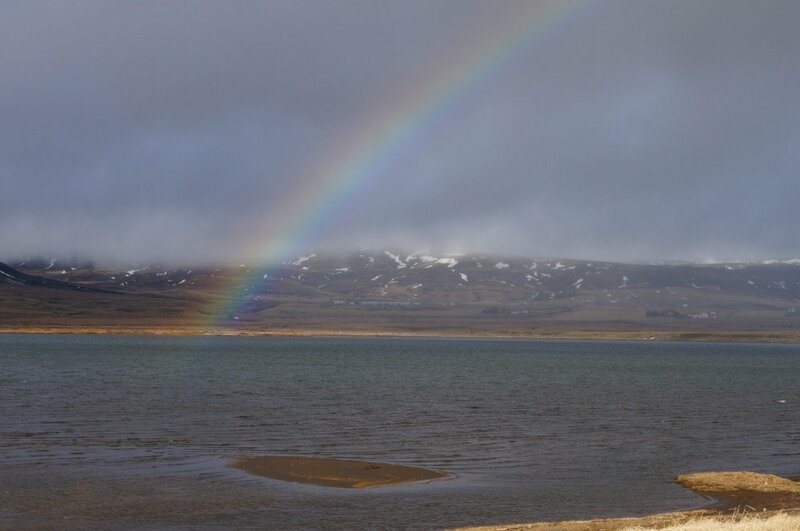 Iceland was waking up from the long winter when we arrived in mid April, Temperatures averaged 6C. The snow had just thawed – although it made a reappearance the day we left – and our tour guides were excited to see signs of spring after a cold, dark winter. My favourite discovery on arrival was a night wake up sign up sheet at reception, staff on night duty can wake you up if the northern nights make an appearance. 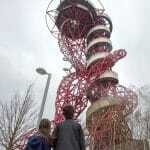 This is one of the best places in the world to see them. How thrilling would it be? I wished at this point my kids were with me – being woken to see the northern lights must feel like Christmas morning – although my companion and I were as, if not more excited, than our seven year old selves at Christmas by this prospect. 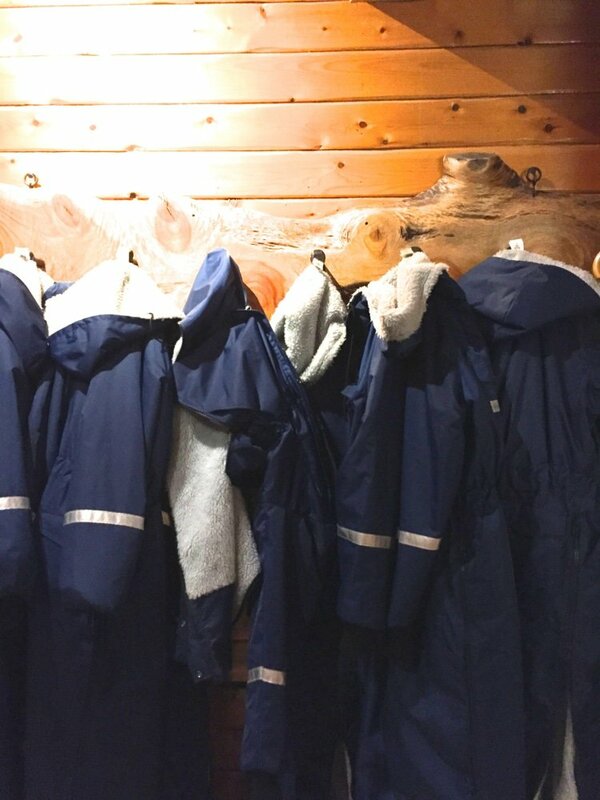 A row of snow suits hang patiently in reception, so you can step into a suit and straight out into the northern lights. 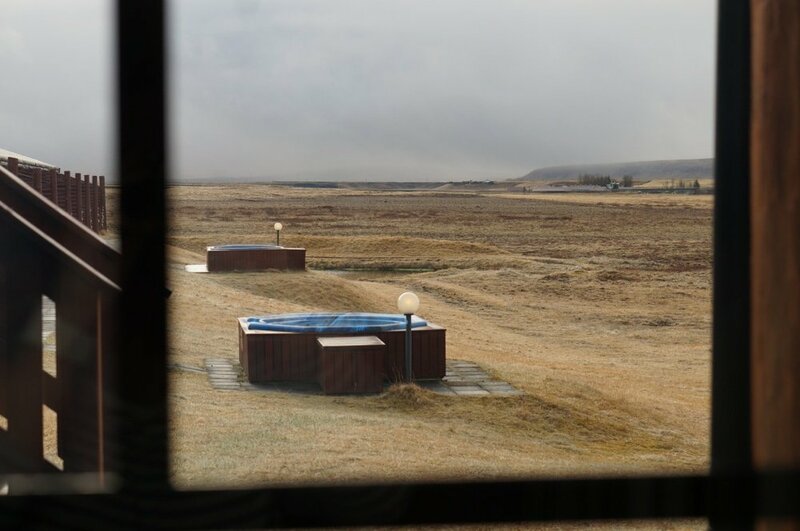 The hotel is also perhaps one of the only hotels in the world to have an observatory, it’s resident astronomer from Reykjavik University is often on hand to explain he night skies. While cloud cover spoilt play for us, seeing the observatory roof slide off and the size of the telescopes convinced me I need a return visit to Iceland, they must be incredible in this remote setting. I wasn’t too disappointed though, the stars and northern lights would simply be the cherry on the already incredibly rich cake that is Iceland and that’s the way to approach them, as a bonus. 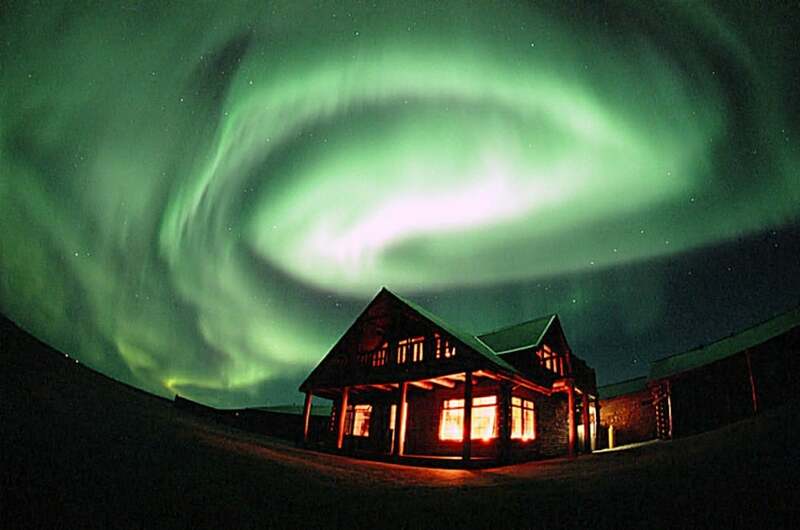 The best time to see the northern lights is September to mid April. September was recommended to us as another great time to explore Iceland, it is still relatively warm, you can reach the north of the island too. This was my third visit to Iceland, I have fond memories of camping in August, when it barely went dark, and of the Airwaves Festival in Rekjavik in November, although I have never experienced cold quite like Iceland in November, so April was a pleasant surprise. 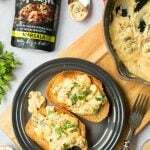 Like a ski chalet in some respects, Ranga is about providing hygge and nourishment after a big day of adventure outdoors. 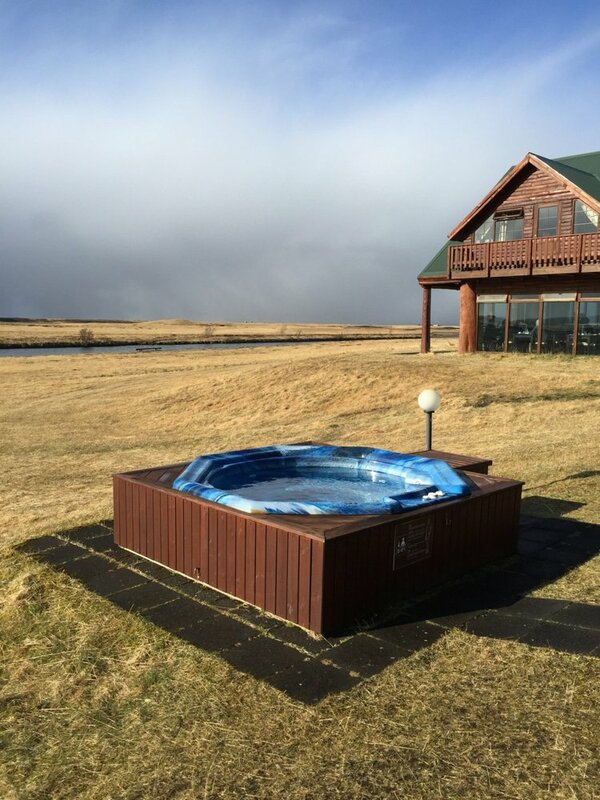 The hot tubs are an incredible place to unwind, you couldn’t feel any closer to nature here, cocooned in a steaming tub while the fresh Icelandic air fills your lungs and the landscape calls out to you, like the swans that pass over the river Ranga, after which the hotel is named. The perfect place for my friend and I to catch up and put the world to rights. On our last day the sun came out and I snapped Hotel Ranga in sunshine, the weather makes such a dramatic difference to the landscape here. Sadly the mountains and volcanoes were still in the mist, but they did pop out to say hello later. Owner and businessman Fridrik extended a warm and excited welcome, his enthusiasm for the possibilities Iceland offers is positively contagious. 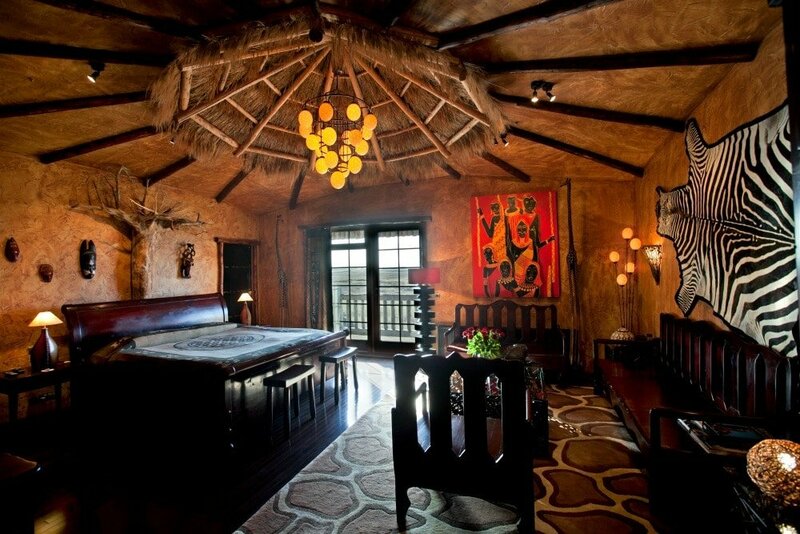 An art collector, he has filled the hotel, and particularly the continent themed suites, with incredible treasures. 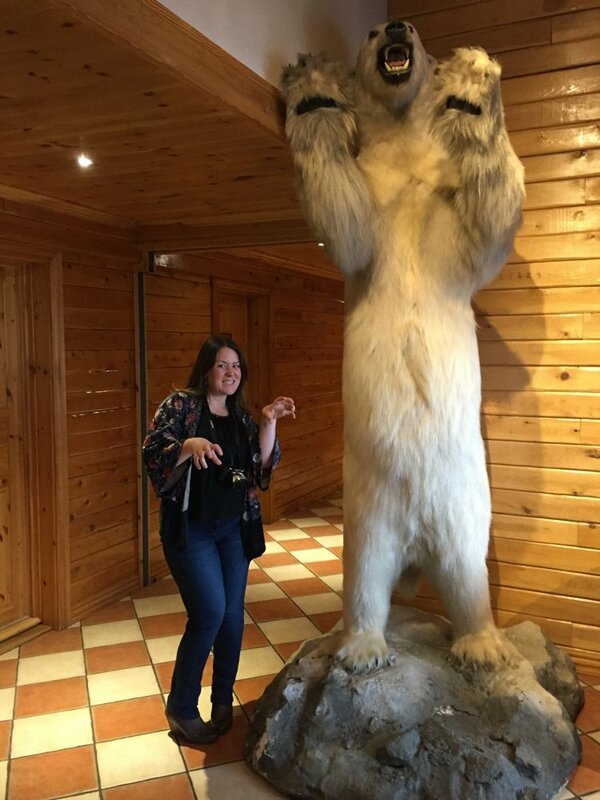 Fridrik enjoys milling around the dining room, entertaining his guests, and is happy to answer our questions about the stuffed polar bear in reception. The bear was shot in Greenland 1996, with permission from the government, after it had been terrorising two villages. Icelanders have tried hard to save them. I know how excited my kids would be to hear tales like this. I might be posing here, but I was also in awe of this incredible creature and fascinated by Iceland’s attempts to save polar bears, occasionally in Iceland Polar bears do float in on icebergs, but they are crazy from hunger and can be difficult or too weak to save. Hotel Ranga is totally unique, Fridrik’s passions and interests coupled perhaps with living on an island with only 300,000 inhabitants, mean that exciting partnerships, like the observatory form. 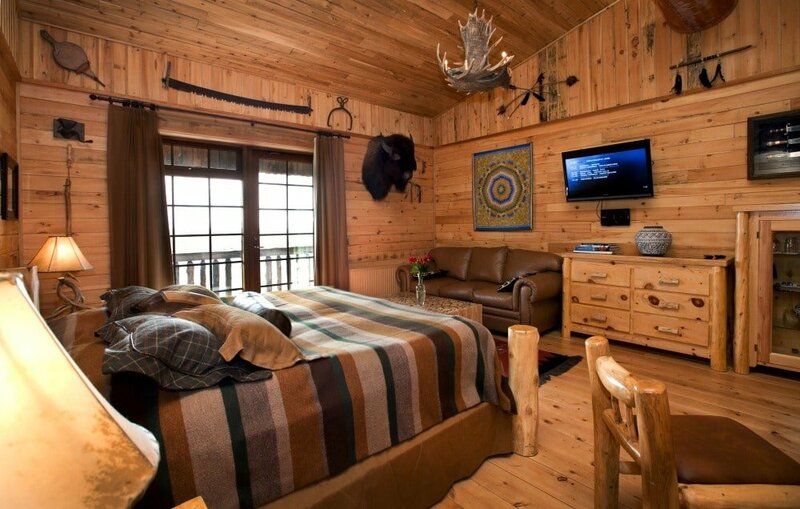 The wood clad interior is so cosy, and the imaginative decor transports you to other worlds, each of the suites are themed, above is North America and below Africa. 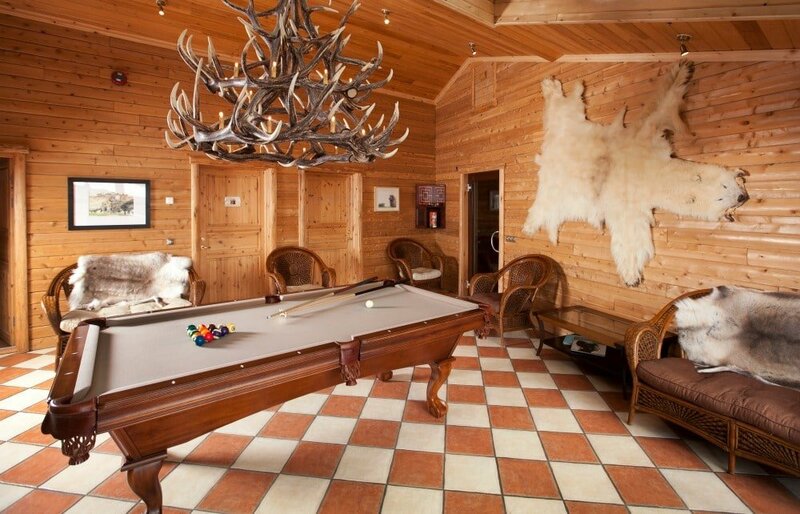 There is loads of lounging room in the hotel, and a games room. Our twin room was spacious and very clean and comfortable, with sofa and widescreen TV, although we were too busy watching Iceland out the window to turn it on. 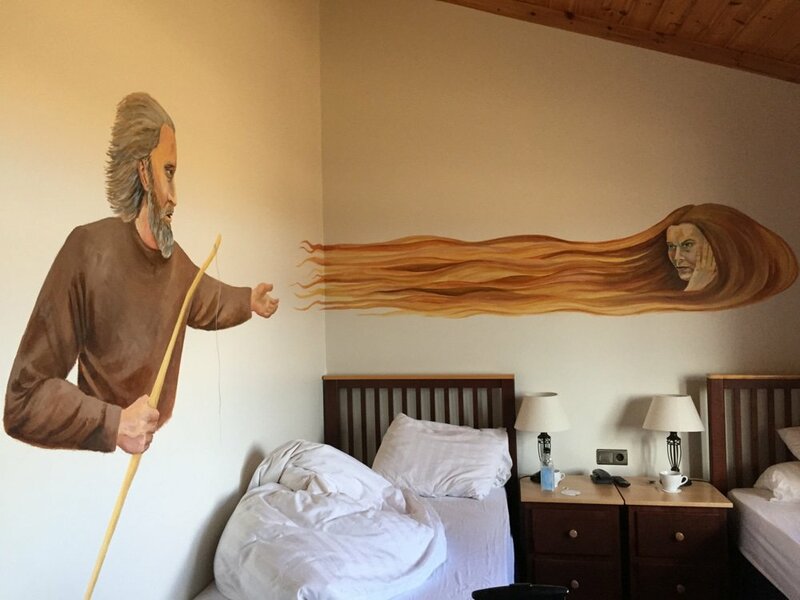 I applaud the hotel for decorating the rooms in an unique style, even if my roommate and I found sleeping under a mural of characters from Icelandic folklore ever so slightly peturbing, especially after a few glasses of wine. I would love to know the story of the two characters on our wall, one thing that I learnt this trip was how important Icelandic stories are. The jacuzzi bath was a very welcome addition after a full day exploring, although N and I were always going to brave the outdoor hot tub, whatever the weather! 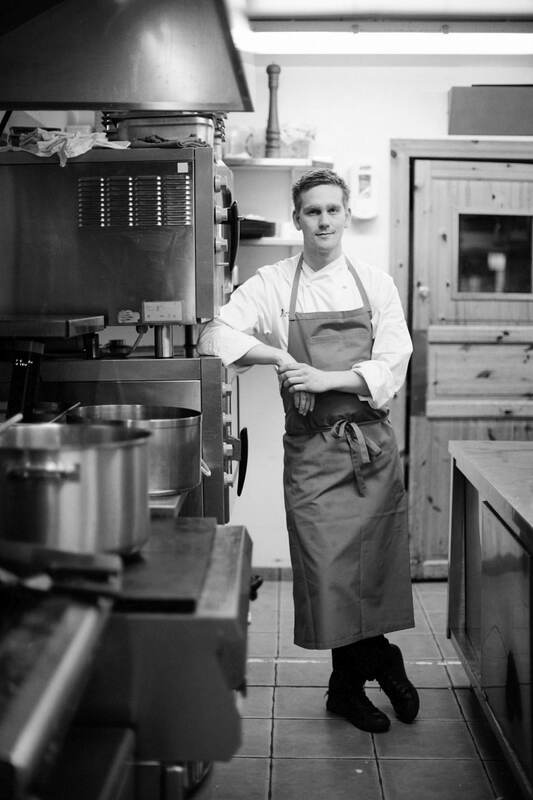 Chef Karl is a rising foodie star on the island, his food showcases the best of what Iceland has to offer, fresh, sustainable, local ingredients. 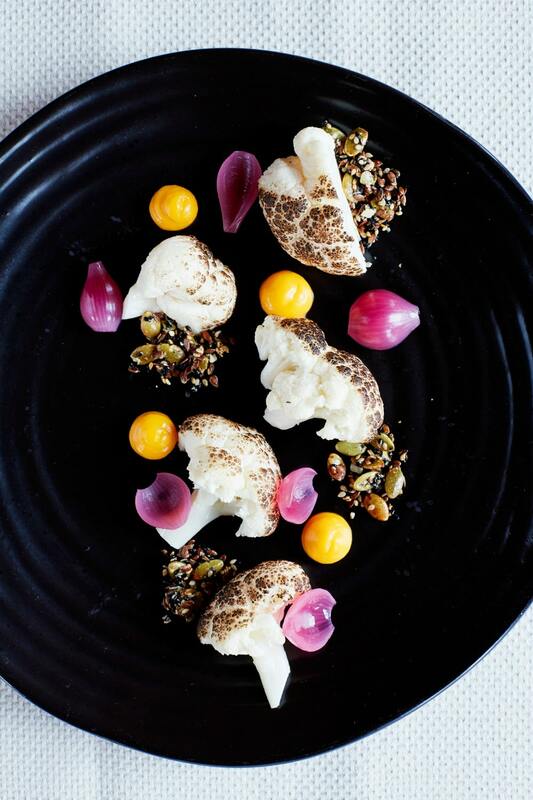 Tasting menus offer an exciting opportunity to sample a little bit of all Iceland’s delicacies in one sitting. An unexpected highlight was the mushroom soup with tiny pieces of pickled sweet mushroom at the bottom. The whole thing was a taste and texture sensation. 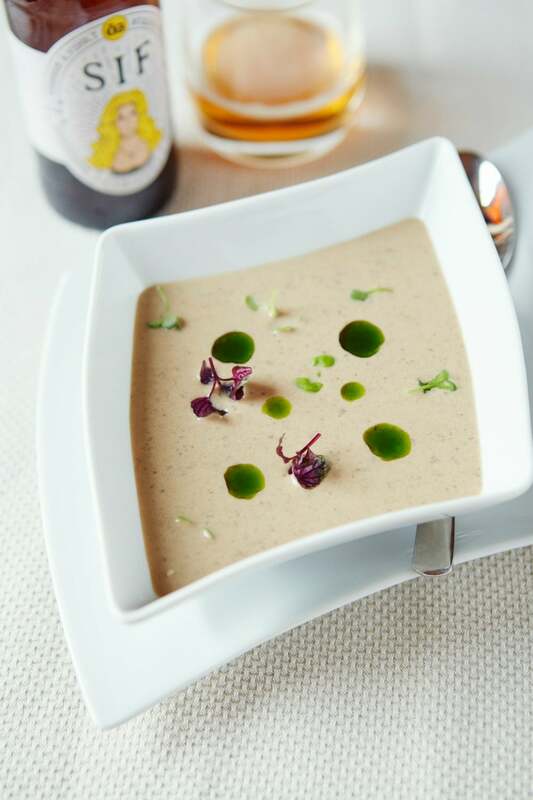 Soup is a big deal in Iceland – the cold brings whole new importance to it as a winter warmer and soups are inventive and a new level as a result. The local beers were also fabulous and all had a great story behind their names. So many dishes were reminiscent of the landscape in some way. This gently torched cauliflower reminded me of the lava covered landscape brought alive by the sun lighting up the green grasses. It tasted amazing too. A particular joy was breakfast in the dining room, the 180 degree views from the glass structure, which juts ahead of the hotel rooms into the wilderness, were such an exciting wake up call. There was cooked and continental breakfast and I spied plenty of children happily tucking in here ahead of a day out exploring. The buffet breakfast and tea and coffee station made for a relaxed morning, breakfast service can be a bit stifling and time consuming, when you have a full day outdoors ahead to look forward to. We loved freshly baked bread with cheeses and making our own waffles using the jugs of perfectly portioned batter and a waffle maker. I doused mine in caramel yogurt and blueberry jam. I was inspired by Karl’s dessert plate, where flavoured yogurts beautifully set off the cappuccino mousse; the delicately flavoured yogurt worked a treat on waffles and jam too. Hotel Ranga is also perfectly placed for exploring South Iceland’s Golden Circle, an area packed with incredible natural phenomenon, including Geysers, Gullfoss waterfall, Kerid crater lake, the national park Thingvillir with it’s Viking Parliament, a world first and also probably the only place in the world where you can see evidence of the teutonic plates splitting above sea level. On our second day the hotel arranged for giant jeeps to pick us up and take us on a Golden Circle Tour, I am a huge fan of jeep tours, for families too; they are such a fantastic and exciting way to see all the sights. After a day marvelling at Iceland’s natural wonders, the day finished with us eating tomato cheesecake, inside a tomato greenhouse, fuelled by geothermal springs. Of course! 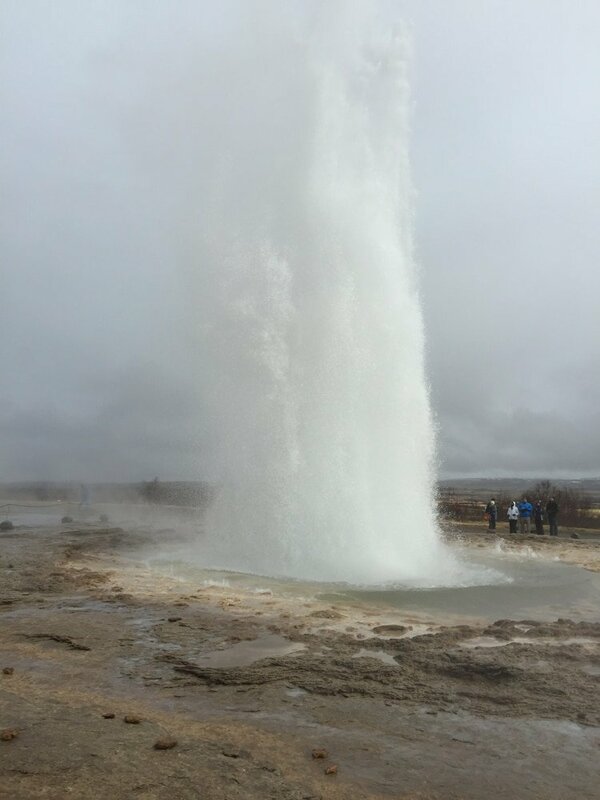 You truly begin to expect the unexpected in Iceland. Rekjavik is on route to the hotel, so we built in a few hours to explore the city. You could also add the Blue Lagoon to the start or end of the trip in this way, although having experienced both, it will never rival the hot tubs at Hotel Ranga for me. We found a smaller geothermal spa much closer to the hotel. Have you been to Iceland or are you thinking about going? I will be back to share much more on our foodie fuelled adventures outside the hotel next time. Let me know if you have any questions about Iceland. Thanks for having me Emily! Penny stayed for two nights as guests of Hotel Ranga and took a Golden Circle Tour with Midgard Adventure. We chose to fly with Wow airlines from Gatwick, a three hour, good value flight with great standards for a budget airline. Pictures are © Penny Alexander, except for 1, 4, 5, 10, 11, 12, 14, 15, 16, 17 which are © Brent Darby and used with permission. What a fabulous place! The restaurant, the sky , the food all looks so fabulous! Really enjoyed reading your post and hearing so much about Iceland! Looking forward to hear more.